TASCAM's MH-8 is the ultimate headphone amplifier for studio, stage and installation. 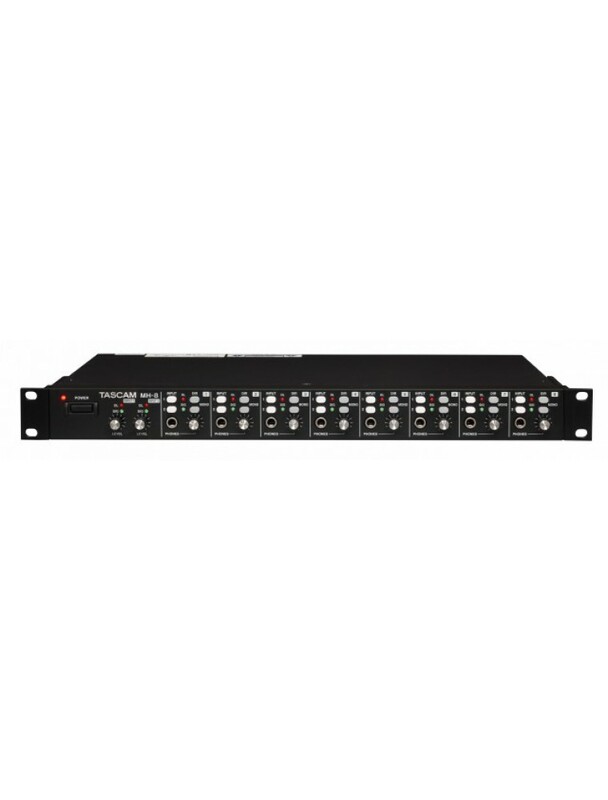 Each of the eight stereo outputs gets 250mW per side with three switchable sources available. Two stereo inputs can be shared to any of the outputs, and individual stereo direct inputs are available for each of the eight channels. A headphone out can select any one of these inputs, or mix several together. A set of foldback outputs allow you to chain other MH-8s into a system.